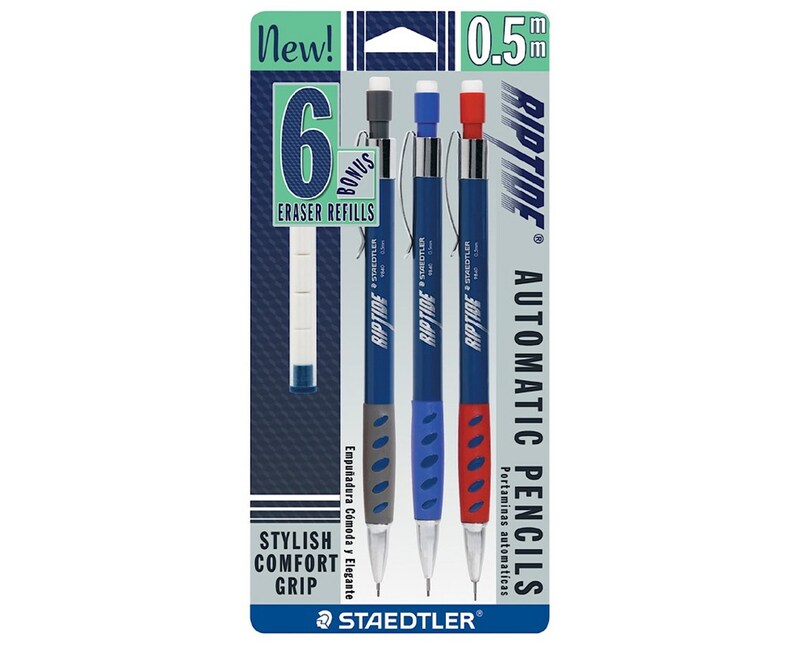 The Staedtler Riptide Automatic Pencil (3-Pack) is a practical and economical choice for students, hobbyists, and professionals who regularly use pencils. It contains three automatic pencils with barrels of different colors. Each pencil is equipped with sliding sleeve mechanism to ensure easy and hassle-free use. 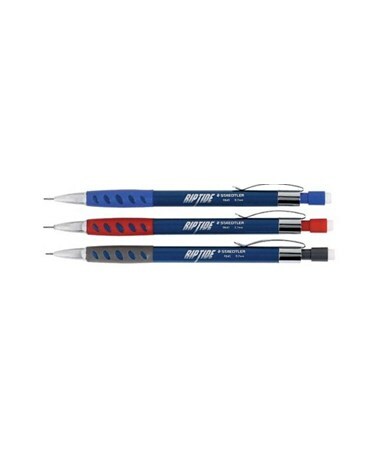 This automatic pencil comes with a stylish rubberized grip that provides convenient and non-slip writing. It also guarantees ultimate comfort even with long hours of scribbling. With its sleek metal pocket clip, it allows easy accessibility and portability. It is also supplied with six eraser refills. 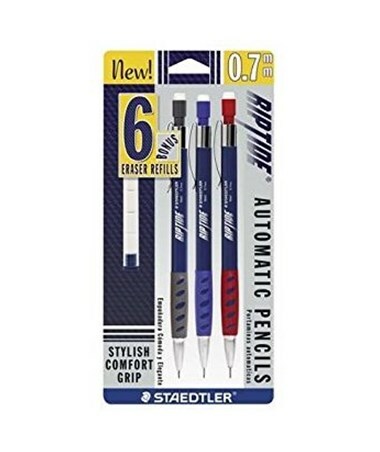 The Staedtler Riptide Automatic Pencil (3-Pack) offers two lead sizes to accommodate various drawing and drafting needs. Available lead sizes are 0.5-millimeter and 0.7-millimeter. It is packed in a blister card. 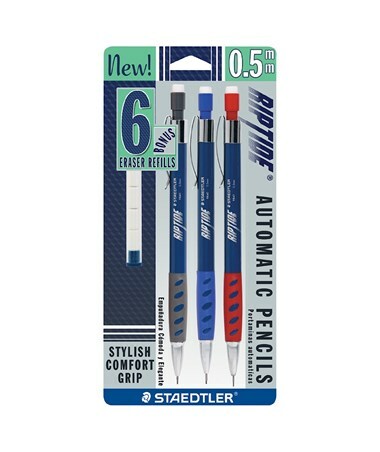 The Staedtler Riptide Automatic Pencil (3-Pack) comes in two lead sizes. Please select your preference from the menu above.